Run Configurations allow a parameterized execution of a script. Right-click on a Groovy script in the Files view and select "New Run Configuration...". 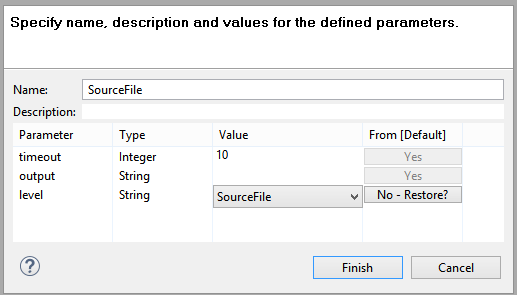 a list of parameters and values that are inherited from the script's default Run Configuration.